As many of you know, I launched AM Open House in July of 2014. It has been a wild ride, with a few pivots on pricing models, but with the same goal in mind. Get in front of as many agents as possible, while keeping the costs to agents and brokers down to $0 or as close to $0 as possible. The app is now totally free to agents and we offer free broker customizations too. It was an interesting feeling the Sunday night before we were leaving to come to #ICNY with a pending blizzard (*cough cough*). I was worried it would all be canceled. 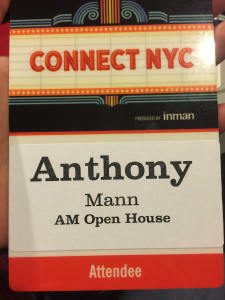 All the while, I am thinking about the investment I had made to be there, to be in NYC during the first big real estate conference of the year, and my first Inman Connect. I was on Twitter, Facebook, and Instagram, waiting and watching people struggling to get there. But Brad Inman made it clear; the show would go on. You see, in the 7 months since launch, I have attended 4 different conferences including ICNY. While we always get an amazing reception from agents, most are there to see some cool new shiny tech, grab as much swag as they can without me seeing, and pretending to listen to my 2 minute shpiel about AM Open House (most of you know I can hit the 1 minute mark with a quick pitch if you want). I was surprised at how different #ICNY was. I was contacted by multiple people before even visiting the conference! Mortgage professionals, vendors, VCs, agents, and brokers; people were genuinely interested in how the product could help them, their brokerage, their clients, or their friends. This was a first for me. I usually never heard a peep from anyone, including the conference organizer before the show. Dalita Lara, had contacted us numerous times to make sure all was well and all our ducks were in a row. Then it all began. Vendors wanted to know how we could create synergies. Agents wanted to know how we could help their business. Brokers wanted to know how we would help their agents and if we could customize the app for them. Everyone had their own reason for stopping by, but more importantly, a real genuine reason for coming over. Everyone had the same theme behind their words; to do better, more efficient business. We were asked question after question about the CRMs we were integrated with (currently 14 and growing), what it looked like from a consumer perspective, if we were mobile responsive on the consumer side and more. People couldn’t get enough questions out before someone else was coming over to check out what they were missing. 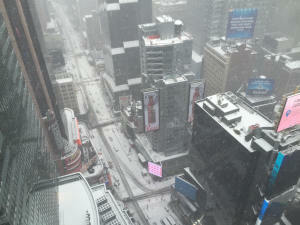 I had better conversations over the 4 days of #ICNY that I have had at the other conferences we have attended combined. In the end, we came home with hundreds of business cards, tons of new relationships, and a genuine feeling that we made a wise investment. I look forward to working with and learning from each and every one of you. Thank you to everyone who makes and has made this event what it is. Next: Next post: When-you’re expecting to repair a PC problem, the most significant thing is attempting to recognize and identify the indicators.